Our customer had a nasty leak in the bathroom below. 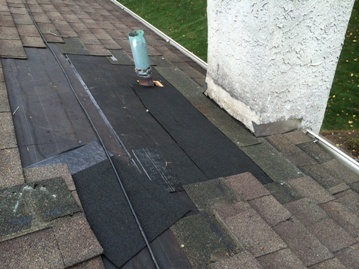 The chimney flashing’s were done incorrectly resulting in damage to the ceiling. 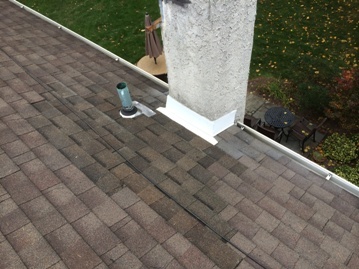 We removed the existing roofing from around the chimney and installed Ice & Water Shield to the entire area. 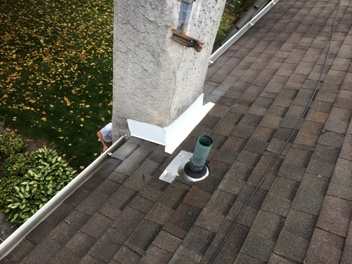 Next step was to Re-shingle installing new step, gussset and reglet cut counter flashing’s installed into the stucco. We also replaced the bathroom vent collar. Problem solved!! This entry was posted in ROOF REPAIR, STUFF TO CHECK OUT! and tagged Roof Repair on January 18, 2015 by Rut327.